About the talk: Margaret Coe will introduce you to the Q-Exactive UHPLC-MS instrument. This incorporates the High Resolution / Accurate Mass Orbitrap mass analyser and the unique TLX on-line sample clean-up system. Come and learn what this instrument is capable of, what is has been used for, and how its state of the art technology can help your research. 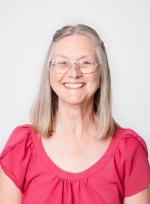 About the speaker: Margaret Coe has more than three decades of experience in chromatography and mass spectrometry. She has worked in the research department of a large multi-national company in Canada, and was the LC-MS Product Specialist for Thermo Fisher Scientific before joining the University of Auckland five years ago.